It takes a certain type of man to be able to get it. To understand that a woman who’s used to being let down repetitively, starved of simple things in a relationship like peace, tenderness, and common respect, and is used to always having to fight to be heard… doesn’t know what a ‘happy’ relationship feels like. 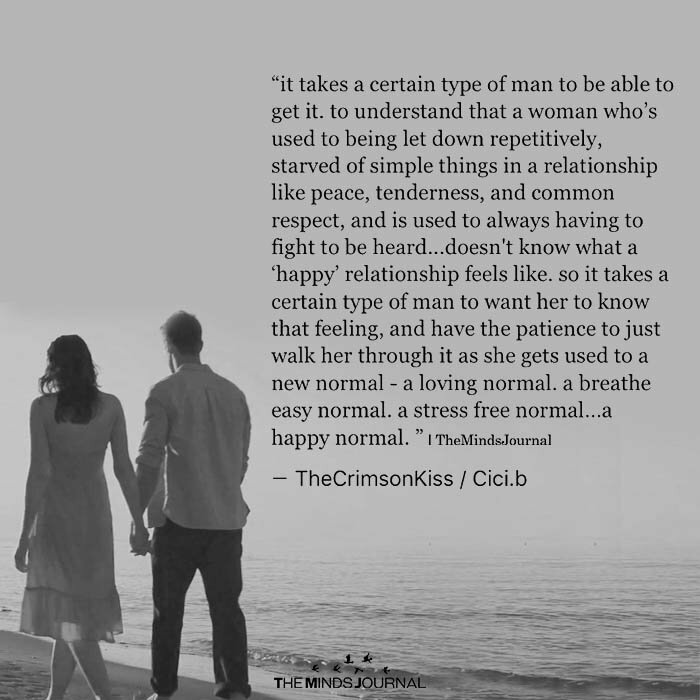 So it takes a certain type of man to want her to know that feeling, and have the patience to just walk her through it as she gets used to a new normal- a loving normal. a breathe easy normal. a stress-free normal… A happy normal.